NOTE: This item was one-of-a-kind and has been sold. Please use the contact link over on the left to send Nicola a message if you'd like to discuss making something similar. 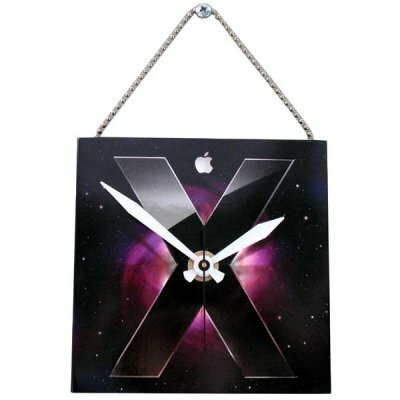 Apple hails Leopard the most impressive OS X version yet! 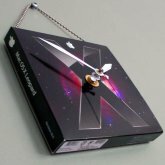 Show off your love for all things MAC with this one of a kind clock handmade from an original Leopard Box! 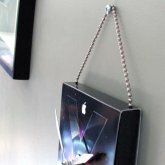 It's the perfect accessory for any Mac-users office. 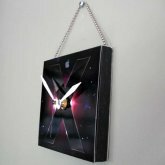 Features metal chain for hanging, precision quartz movement, and takes one AA battery (included).